The Illinois High School Association reports the number of licensed officials in Illinois has dropped 21 percent in five years. Derek Sieg, President of the Bloomington-Normal Officials Association, has been officiating for 33 years. Jacob Hartness (left) and Tom Eades await the tipoff of the Illinois State vs. Valparaiso men's basketball game on Feb. 5. Game Time Gym II in Bloomington needs up to 100 officials to cover all of its games on a typical weekend. In sports, officials are at their best when their work goes unnoticed. But organizers of youth and high school sports in Illinois have noticed the supply of people willing to don the stripes has dwindled when demand for officials has never been higher. Scott Kerr recalls working a postseason high school basketball game in a packed gym two years ago. He assessed a technical foul against a player at a key moment in the game, and he heard about it from one fan in particular. Scott Kerr of Mansfield has been officiating high school football and basketball for 14 years. “We’re going down the court and a guy from the team that was down that the technical was against started referencing my weight, telling me I wasn’t a good official because I was fat and out of shape and I couldn’t get up and down the floor,” Kerr recalled. Kerr works in jail security. The 14-year veteran official who lives in Mansfield shrugged off the snide comment. But it appears that kind of vitriol has prompted more officials to walk away from the games they love or in some cases never get started. 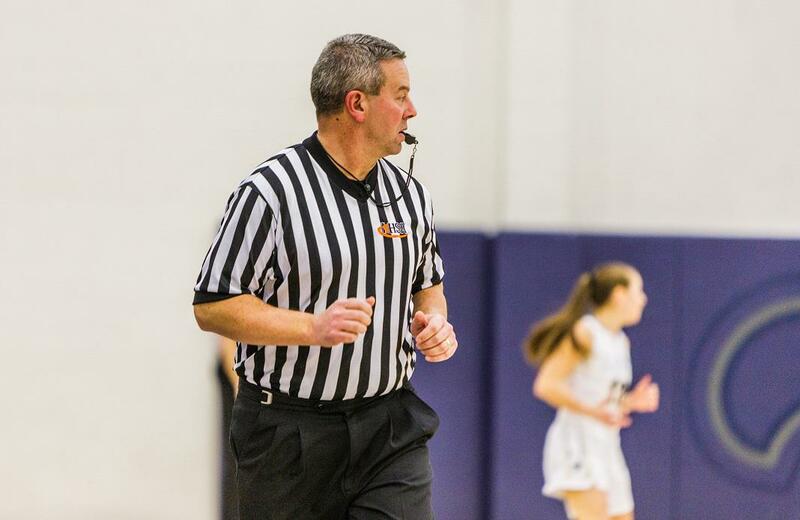 Derek Sieg is president of the Bloomington-Normal Officials Association and has been donning the whistle for 33 years, calling basketball, football, baseball, softball and more recently volleyball. He sees the attrition problem firsthand. Sieg said schools’ inability to find officials has in some cases promoted them to cancel junior varsity baseball and softball games, where he said the need is greatest locally, and to move some football games to Saturdays because there aren’t enough to work on Friday nights. “I’m going to admit I yell at the TV sometimes too but I try to refrain when I am there in person because I understand that’s a difficult position to be in,” Sieg said. “You can’t always be in perfect position, you just try to get in the best position you can, and you can’t see everything. The problem he said is when the complaints get personal. “There may be some places you go where fans know you either through work or other community experiences and they start to call you by name,” Sieg said. “Or you’ve got fans that will continually yell, yell, yell, may or may not know what they are talking about. Sieg said the association offers mentoring to young officials so they don’t quit. Kerr said the problem has been amplified by having more young officials fast tracked to cover higher profile games that years ago never would have happened. All officials have to start somewhere. Many of them in McLean County cut their teeth at Game Time Gym II in Bloomington. It hosts basketball tournaments from third-graders to adult and hosts adult volleyball and recreational badminton and pickleball. The venue demonstrates how youth sports has grown into a major industry in the United States. During its peak season from October to March, owner Larry McDowell said he needs to fill 100 official game slots every weekend. He admits it’s the hardest part of owning the business. Officials are paid between $10 and $18 per game. They are doing it for the experience or for the love of the game. McDowell said many of their officials are new to the craft and have to work their way up. McDowell typically starts them reffing third grade games, the youngest level of competitive basketball, where they are not the only ones learning. 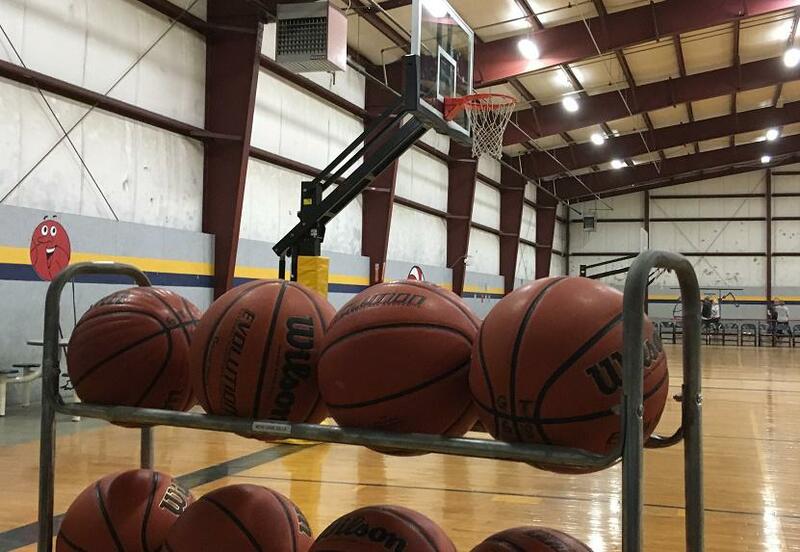 Game Time Gym II owner Larry McDowell said scheduling officials is the hardest part of owning the business. Third-graders have special rules since basketball skills are underdeveloped at that age. At Game Time Gym II, third-graders are not allowed to double team an opponent or steal the ball off the dribble. The Illinois High School Association has kept its eye on the shrinking official rolls, but doesn’t consider it a crisis yet. Sam Knox oversees officials for the IHSA. He said the number of licensed officials in the state has dropped from about 14,000 five years ago to nearly 11,000 this year. That’s a 21-percent drop in five years. Illinois High School Association assistant executive director Sam Knox said the IHSA is encouraging more schools to help recruit and train officials. Knox noted its part of a national trend. 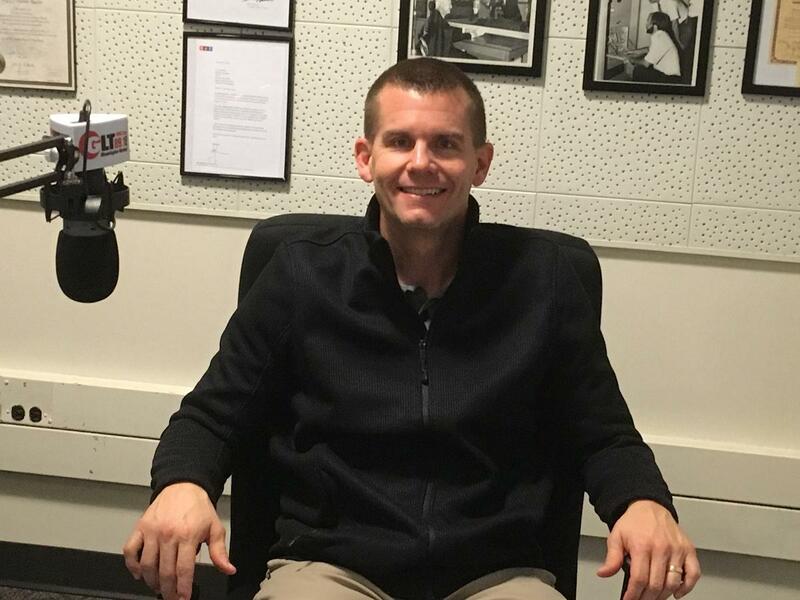 He said the IHSA has stepped up recruiting efforts – several high schools and colleges offer classes in sports officiating and the association is encouraging more schools to add it. Anyone who wants to become an official faces startup costs that could climb into the hundreds of dollars. First they have to be licensed. Licensing through the IHSA costs $50 for one sport and $15 for each additional sport. Officials also buy their own uniforms, hats, shoes and other gear, including whistles and chest protectors. Some official associations, including the one in Bloomington-Normal offer financial help and sometimes hold garage sales so refs can gear up at a lower cost. They can recoup that cost pretty quickly, depending on how often they want to work, but make no mistake, it’s not an easy money-making proposition. Hud Venerable is athletic director at Central Catholic High School in Bloomington. His school pays officials $50 for a freshman game, $60 for junior varsity and $70 for varsity. 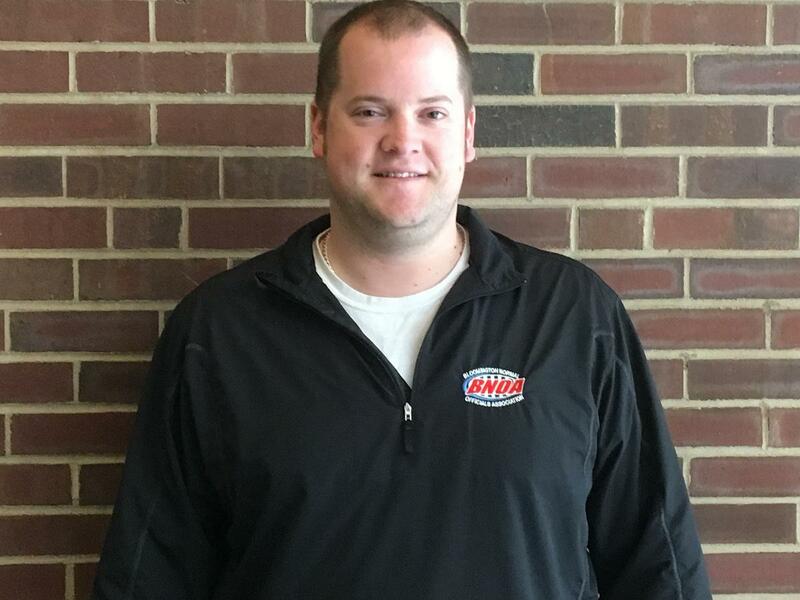 Venerable, an Illinois Wesleyan University alum who coached Normal Community to a state football title in 2006, recently returned to Bloomington after serving as football coach and AD at suburban Lincoln-Way Central. Venerable said he noted the officials’ shortage is much greater in Central Illinois than in the Chicago area. He said officials face many of the same obstacles coaches face. He has seen many coaches and officials walk away at much younger ages than they used to and he understands why. He said he hasn’t noticed a significant change in fan behavior going back to his college days in the 1970s. He added that basketball moving two to three officials has actually made their job easier. Venerable has sought to remove the potential for negative situations. 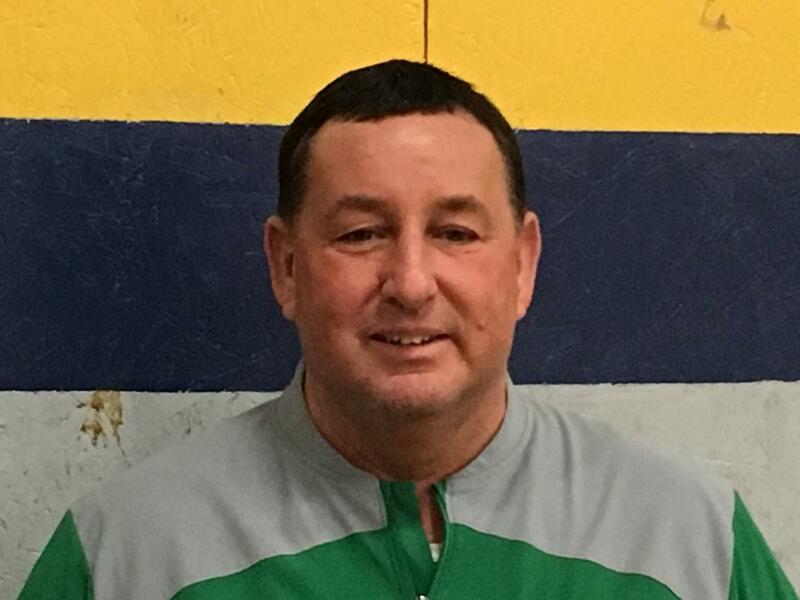 When he was hired at Central Catholic in 2017 he adopted a sportsmanship code that comes with a pre-game announcement that the public address announcer reads before every sporting event. Kerr said he would like to see athletic directors be more proactive in removing unruly fans. He plans to work as long as can but he understands why others are hanging it up. At Redbird Arena, fans sitting in the front row are easily within earshot of game officials and players. “Why should I go out, spend an hour and a half of my evening and go out there just to get yelled at by coaches and fans,” Kerr said. At 32, Kerr is one of the youngest officials he knows. He said while the relationship between refs and fans will always have conflict, he thinks many coaches have become more sympathetic as they see fewer refs joining the ranks. “A lot of the guys I work with are younger so they say ‘We’ve got to be nice to these guys, they are going to be around longer. It’s going to be a long career for both of us if we can’t seem to get along,’” Kerr said. “They are out there just trying to make a living just like everybody else is,” Kerr said. “They are the ones who have the willpower to go out in front of billions of people to do a job and be critiqued by everybody sitting on a couch or on their easy chair at home. Knox, a licensed official himself, said he empathizes with those refs who say they’ve had enough, but he encourages them to tune out the noise. Knox said the IHSA has a rating system for its officials that determine which ones are awarded postseason and state finals assignments. The system factors in licensing level, test scores, previous postseason experience and coaches ratings. He added officials are also generally good at self-evaluation as they try to hone their craft. Knox said the biggest shortages are in wrestling, soccer and track and field. 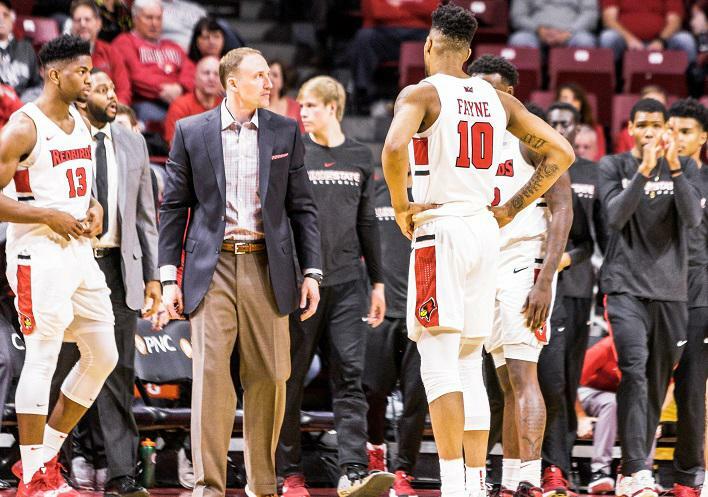 Illinois State men's basketball coach Dan Muller was recently reprimanded by the Missouri Valley Conference for criticizing officials following a Jan. 23 loss at Bradley. The NCAA has tried to clamp down on coaches protesting officials' calls by allowing them to assess a technical foul against a coach who gestures in any way that a ref could perceive as disrespectful. 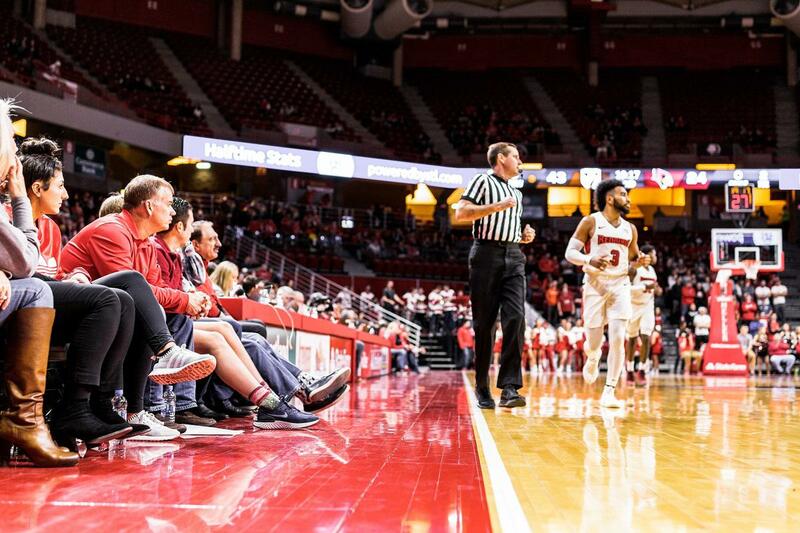 Illinois State men's basketball coach Dan Muller was recently reprimanded by the Missouri Valley Conference for criticizing officials who gave him a technical during a January game at Bradley. "I didn't deserve it all all," Muller said in a postgame news conference. "It was the most ridiculous call I've ever seen. I didn't say one word. It was unbelievable." Illinois high school football's governing body is overhauling its conferences, in a move that's intended to helps schools play similar-size programs.